The United Nations (UN) General Assembly has approved the adoption of 2017 as the International Year of Sustainable Tourism for Development. The decision comes at a particularly important moment as the international community embraces the new Agenda 2030 and the Sustainable Development Goals (SDGs), approved by the UN General Assembly last September. 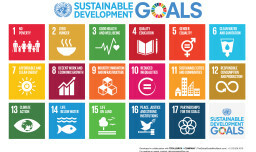 Tourism is included as targets under three of the SDGs – SDG 8: Promote sustained, inclusive and sustainable economic growth, full and productive employment and decent work for all; SDG 12: Sustainable Consumption and Production and SDG 14: Conserve and sustainably use the oceans, seas and marine resources for sustainable development.